1. Heat 1 Tbsp (15 mL) of canola oil in large, nonstick skillet over medium-high heat. Brown beef 3 minutes on each side. Place beef in slow cooker coated with cooking spray. Heat remaining 1 Tbsp (15 mL) canola oil, cook onions 4 minutes or until beginning to brown, stirring frequently. Stir in garlic and cook 15 seconds. 2. Remove skillet from heat and stir in garlic, beer, vinegar, oregano, thyme, steak sauce, and tomato paste. Stir until well blended and pour over beef in slow cooker, making sure that beef is covered completely with liquid. 3. Cover and cook on low setting for 6 hours. Remove beef and place on cutting board. Stir salt into slow cooker mixture. Thinly slice beef (it will shred automatically as you slice). Return beef to slow cooker and stir. 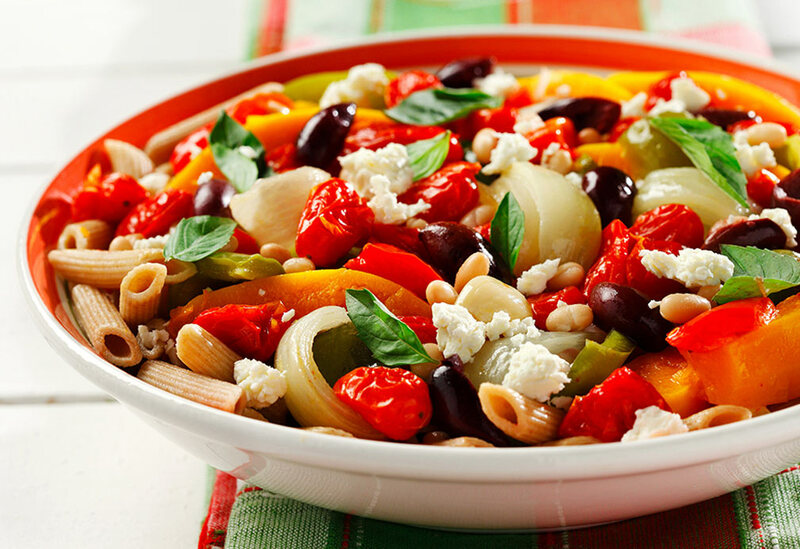 Cover and let stand 15 minutes to absorb flavours. 4. To serve, place strainer in large bowl, strain beef mixture, shaking off excess liquid and place in serving bowl. Serve juices alongside. 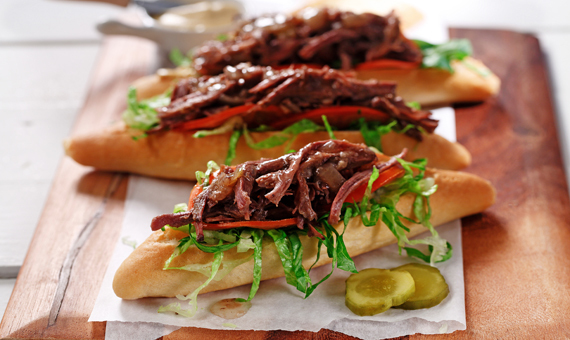 Place equal amounts of shredded beef on warmed multigrain bread slices (2 oz/60 g per serving) as open-faced sandwiches. Spoon desired amount of liquid over each. 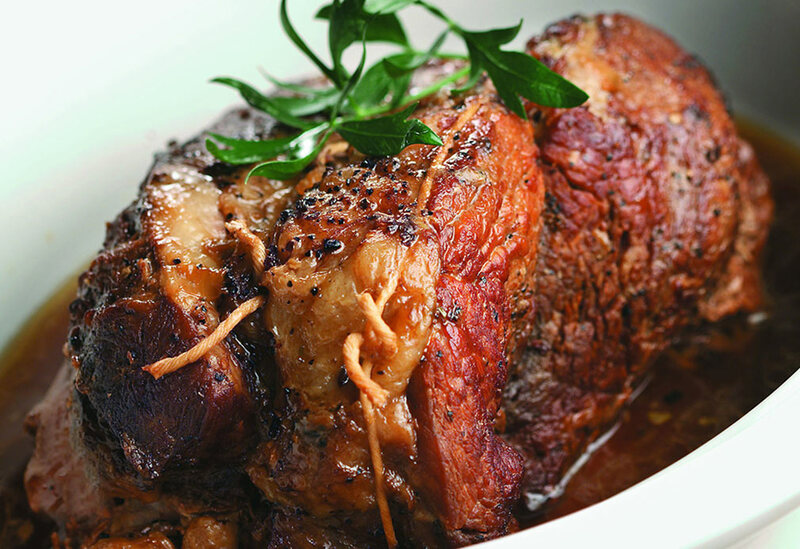 Cook's notes: Buy beef brisket that weighs almost 2 pounds before trimming as there is quite a bit of fat to discard. 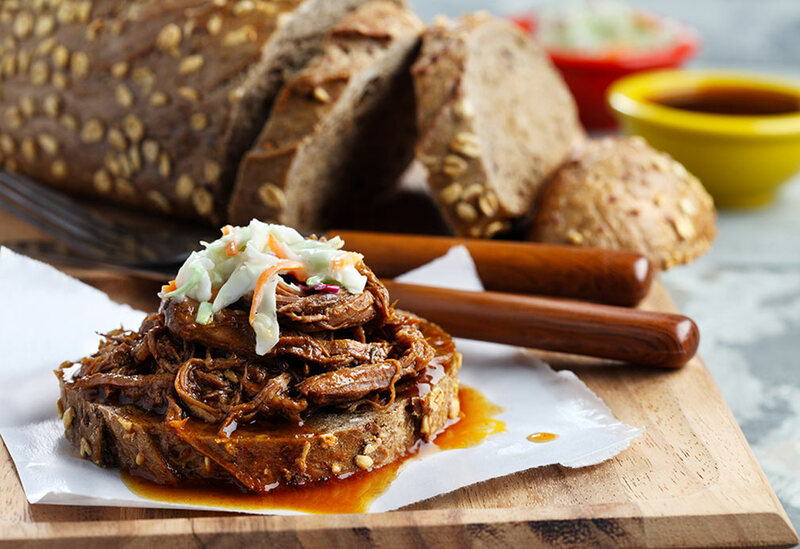 If a "sliced" brisket is preferred over the shredded variety, cook about 30 minutes less than recommended above. Canola oil's mild flavor makes it a great choice for recipes that you want the flavors of the ingredients to shine through and not be masked by a strong tasting oil. Sink your teeth into this succulent sandwich of “fall apart” beef that slow cooks for hours, but requires little to no work on your part! Canola oil’s high heat tolerance is just right for browning the beef.